To Gerald W. Schwarz, professor emeritus of mathematics, it all added up: He wanted to pay tribute to his parents, show his gratitude to a department and a university that nurtured his career, and support mathematics. 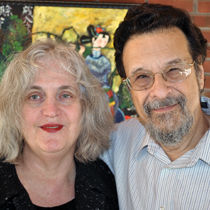 The result is Brandeis’ Ernst L. and Elaine G. Schwarz Chair in Mathematics, to be given through a bequest by Schwarz and his wife, Margery Kravitz Schwarz. The $3 million endowment represents one of the largest gifts ever made by a Brandeis faculty member to the university. Schwarz’s parents fled Nazi Germany in late 1938, though not before his father was imprisoned for a period of time at the Buchenwald concentration camp following Kristallnacht. They eventually settled in Portland, Ore., where they worked as caretakers at an estate and later as caregivers in the health-care industry. Both of their sons went on to earn doctorates, Maurice in chemistry and Gerry in mathematics. Although he retired from Brandeis in 2009, Schwarz continues to work in the areas of invariant theory and transformation groups. His recent papers have been accepted by the Journal of Pure and Applied Algebra, the Journal of the London Mathematical Society and the Journal of Symplectic Geometry. Schwarz, who earned his bachelor’s, master’s and doctorate from the Massachusetts Institute of Technology, arrived at Brandeis in 1974 after serving as an instructor at the University of Pennsylvania. He spent the next year at the Institute for Advanced Study in Princeton, N.J., where he solved the complex problem of lifting smooth homotopies of orbit spaces of compact groups. This led to a tenured position at Brandeis in 1978. Four years later, he was promoted to full professor. If you went online to make your gift to Brandeis before Dec. 31, 2012, you had plenty of company. A total of 1,816 donors — alumni, parents, students, friends and members of the Brandeis National Committee — visited the university’s online giving site (http://givingto.brandeis.edu) to make a gift before the end of the 2012 calendar year, a 33 percent increase from 2011. Brandeis easily surpassed the Online Giving Challenge goal of collecting 1,500 online gifts. The university raised $556,935 online from July 1-Dec. 31, 2012, the first six months of fiscal year 2013. This total represents a 17 percent increase from the $477,859 collected during the same period in fiscal year 2012. Fiscal year 2012 marked the first time Brandeis had secured more than $1 million online, raising $1,003,196. The previous online high for a single year was $698,573, established in fiscal 2011. Online giving to Brandeis has more than doubled over the past three years. 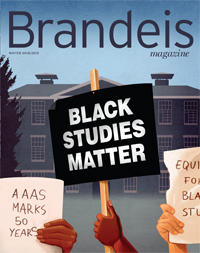 People often ask me what differentiates Brandeis from other elite colleges and universities. There are, of course, a number of differences: roots in the Jewish community; commitment to social justice in all its forms; a visionary president, Fred Lawrence; and a student body dedicated to changing the world. As the parent of two Brandeis students — David ’10 and Michael ’13, who completes his studies in May — I have come to appreciate even more another quality that distinguishes Brandeis: our faculty. At Brandeis, renowned professors spend as much time with their undergraduate students as their research. Faculty invite students to work in their labs and collaborate on publications. Professors serve as mentors, career guides and sources of inspiration. The connections continue long after graduation. Brandeis professors choose to work at a place that fosters close faculty-student relationships. They frequently pass up opportunities at other universities or colleges, drawn to Brandeis by their interdisciplinary collaborations with fellow faculty and a deep commitment to their students. A great university is only as strong as its faculty. Supporting our world-class professors has long been one of our top fundraising priorities. Generous gifts from alumni, parents, friends, trustees and members of the Brandeis National Committee have endowed more than 125 faculty chairs, among the highest honors a professor can receive. Many of these gifts were made in the last decade. Thank you for all you do to ensure that Brandeis maintains its unique character. A logical fresh-air spot for a Judge. It made perfect sense to Harvey Kulawitz, P’12: The campus of a university named for Supreme Court Justice Louis Brandeis should rightly be adorned with benches. The idea was generated last May, when Kulawitz’s daughter Abby ’12 graduated from Brandeis with a degree in American studies and sociology. And so was born the Brandeis Bench Program, a Parents Fund initiative that aims to install 50 benches around campus over the next few years. Kulawitz and his wife, Carrie, P’12, made the first $10,000 gift to install a bench, located just off the Great Lawn outside the Shapiro Campus Center. The Kulawitzes’ gift reflects their gratitude that Brandeis gave their daughter a singular educational experience. Abby says that she found the academics, extracurricular activities and social life a perfect fit for her. She also developed a close relationship with Jonathan Sarna ’75, MA’75, the Joseph H. and Belle R. Braun Professor of American Jewish History, who became her mentor. For more information about the Brandeis Bench Program, contact Gayle Gordon, assistant director of leadership gifts, at gayle@brandeis.edu or 781-736-4060. Irving Schneider, P’75, H’83, a Brandeis trustee for nearly a quarter-century, whose generous support of the Heller School for Social Policy and Management helped it become a nationally known center for health-care research, has died. Schneider died on Nov. 23, 2012, in Palm Beach, Fla. He was 93. One of the university’s most generous supporters, he funded construction of the Heller School’s $15 million Irving Schneider and Family Building, which opened in 2006. He also established the school’s Schneider Institutes for Health Policy. Schneider was a member of the Brandeis Board of Trustees from 1970-94, served as vice chair from 1971-83 and 1987-93, and was made a trustee emeritus in 1995. He joined the Heller Board of Overseers in 1991. In honor of his extraordinary service, Brandeis presented him with an honorary doctorate of humane letters in 1983. Schneider’s daughters, Mindy ’75 and Lynn, are active at Brandeis and generously support the institution. Mindy has been a member of the Brandeis Arts Council since 2008 and has served on her class Reunion committees. Lynn sits on the Heller Board of Overseers. Brandeis Trustee Carol Richman Saivetz ’69, P’97, P’01, and her family made a generous gift to establish the Fred and Rita Richman Distinguished Fellow in Public Life program, which will bring to campus individuals who have had a significant impact on improving American society, strengthening democratic institutions and advancing social justice. The new fellowship program, named in honor of Carol’s parents, complements the recent conversion of the Fred and Rita Richman Distinguished Visiting Professorship to an endowed chair in politics or economics. Appointment as a Richman Fellow includes an honorarium of $25,000 and requires the individual selected to spend two to three days on the Brandeis campus, meeting with students and faculty, and participating in other activities. Adam Jaffe, the Fred C. Hecht Professor in Economics, chairs a faculty-student committee that will review and evaluate nominations before forwarding fellow recommendations to the president. Nominations for candidates to be considered for appointment during the 2013-14 academic year were due on March 1. The Richman and Saivetz families have a long, multigenerational involvement with Brandeis. 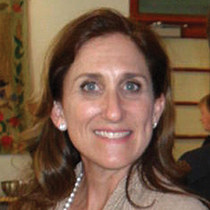 Carol became an alumni leader in the 1970s along with her husband, former Brandeis Alumni Association President Richard Saivetz ’69, who died in 2000. Their children — Michael ’97 and Aliza ’01 — have carried on the family tradition of service to the university. Gifts from the Richman and Saivetz families have supported student scholarships, and the study and teaching of architecture at Brandeis. Raised within the famed 90210 ZIP code of Beverly Hills, Calif., Leslie (Meltzer) Aronzon ’84 says she grew up intellectually at Brandeis, where she found the coursework stimulating, the faculty inspiring, and her fellow students both engaged and engaging. An active alumna since graduation, Aronzon was recently elected to a four-year term on the Brandeis Board of Trustees. She also serves as vice president of the Alumni Association and as an Alumni Admissions Council member. 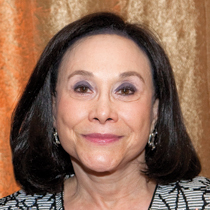 She has helped organize Reunions, has hosted many Brandeis events at her Los Angeles home, and generously supports the Aronzon Family Scholarship and the Alumni Annual Fund. You could call “going places” the theme of Aronzon’s college search. She wanted out of California. Brandeis intrigued her. She enrolled in August 1980 without ever having visited campus. Although the California girl had skied before, she’d never experienced a winter’s first snowfall. Not everyone shared her enthusiasm for the cold, white stuff coming down, including her freshman roommate (and best friend to this day), Susan (Hills) Goldman ’84. Aronzon planned to study chemistry but ultimately chose to major in economics. She studied at the Sorbonne during the spring 1983 semester, and wrote her senior thesis on the valuation of the French franc vs. the U.S. dollar. After graduation, she headed home and found that the Brandeis name resonated even 3,000 miles away from campus. Although she didn’t have the required accounting background, she landed a consulting firm job because the hiring manager knew she had been taught to think and solve problems at Brandeis. Five years after graduation, Aronzon earned an MBA at the University of Southern California, finishing at the top of her class. She joined the international investment bank Houlihan, Lokey, Howard & Zukin, where she served as a vice president and specialized in bankruptcies and distressed mergers and acquisitions. Since leaving the firm several years ago, she has devoted all her time to her family (husband Paul and sons Max, Jack and Asher); her children’s schools; and a variety of philanthropic endeavors, including the Jewish Free Loan Association of Los Angeles.